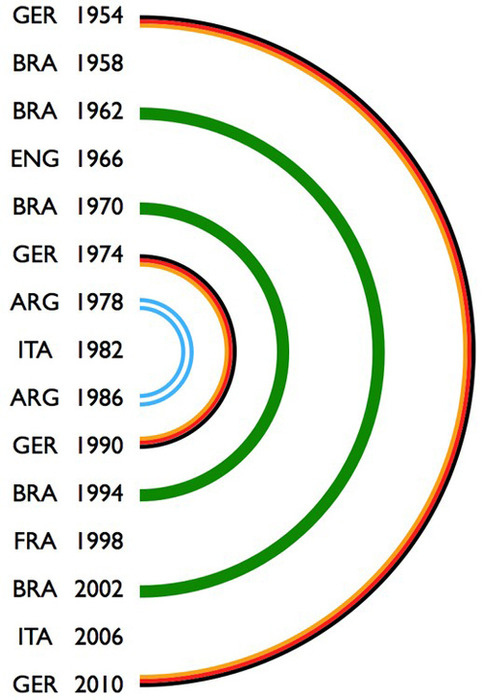 This is kind of nuts, but, as you can see below, the World Cup winners have been oddly symmetrical when graphed. Therefore, Germany must win when they take on a talented Spanish team on Wednesday…and then go on to beat the other winner in the finals on Sunday. Why? Because this graph says so, and the internet never lies.